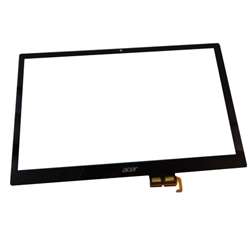 New Acer Aspire M5-582PT Laptop Touch Screen Digitizer Glass 15.6"
Home → Laptop Digitizers → Acer Aspire M5-582PT Laptop Touch Screen Digitizer Glass 15.6"
Description: New Acer replacement black digitizer touch screen glass. This is not the actual screen. This is the glass on top of the screen that reacts to touch and the plastic bezel that surrounds it. **This item is not easy to install and should only be installed by a professional computer technician who has experience with this type of repair. Some of the models below may come with the lcd screen and digitizer that is one piece. If you have a model like this you will also need the screen. Please take apart your laptop and check this before ordering.